I havent posted in a while but I wanted to post my updated photos after my last procedure with Dr Umar 10 months ago in Sept 2007. The first 17,000 grafts shown are when I started 3 years ago in 2005 when Dr Umar had a huge job to restore my badly scarred head . 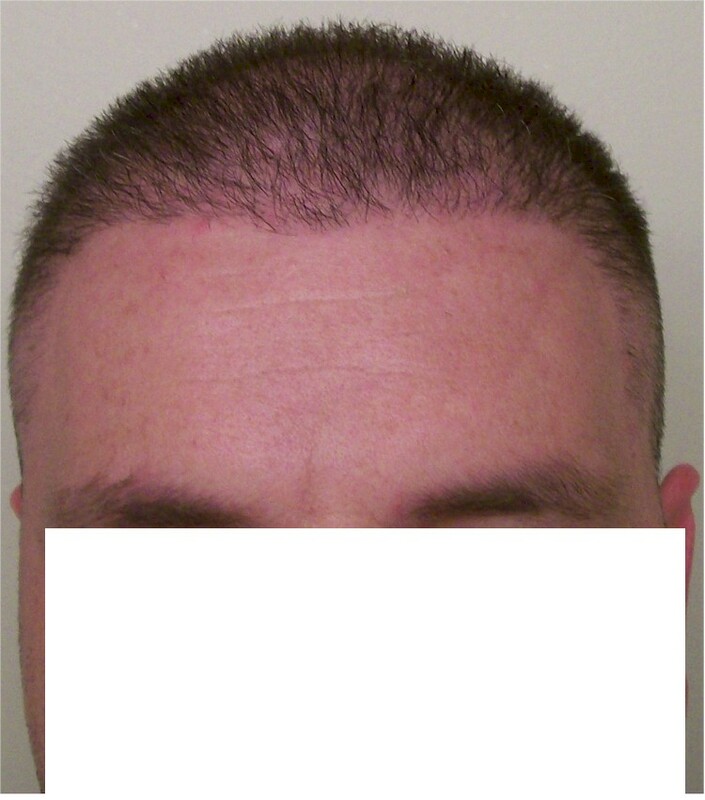 My September 2007 (2000 graft) procedure 10 months ago included temporal filling / and lowering the hairline to frame my face.Dr Umar did a fantastic job with the artisty of his work . We discussed the hairline in great detail and he designed my hairline to fit my face -knowing that I would keep my hair cut short. I am now using a #3 attachment on my electric hair clippers to keep the top cut and I cut the back /sides with a #1 and blend it with the top. I can tell you - my life has been changed by all procedures Dr Umar has performed but the last hairline/temporal work 10 months ago was the absolute life-changing moment for me. I literally put my long battle with hair loss behind me and moved on with my life. Since that time I have advanced dramatically in manyareas of my life both personally and professionally. 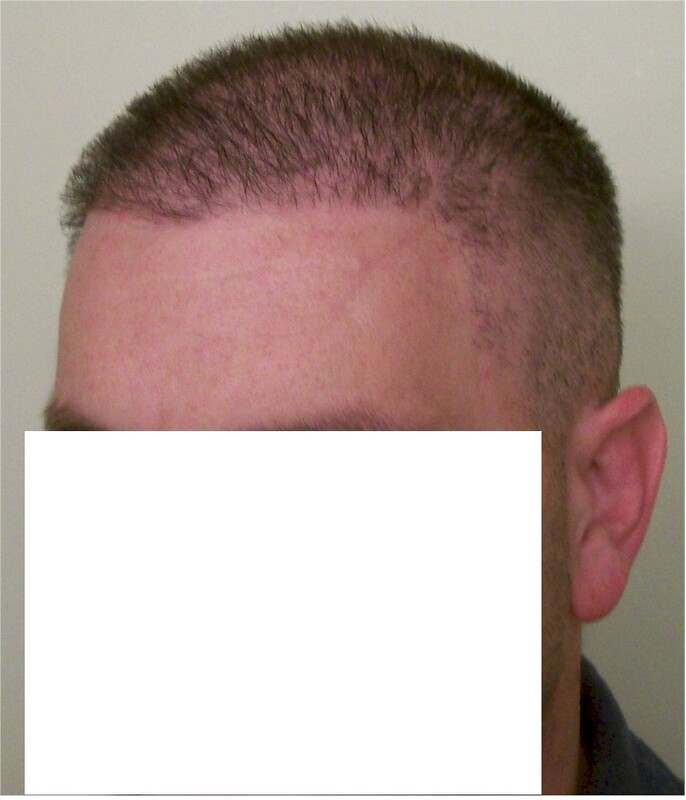 It was almost as if a light switch had simply been turned off to the daily mental torture of hairloss when this hairline work was done.We all know the hairline has such an important role in enhancing our confidence -and for me that is an understatement. 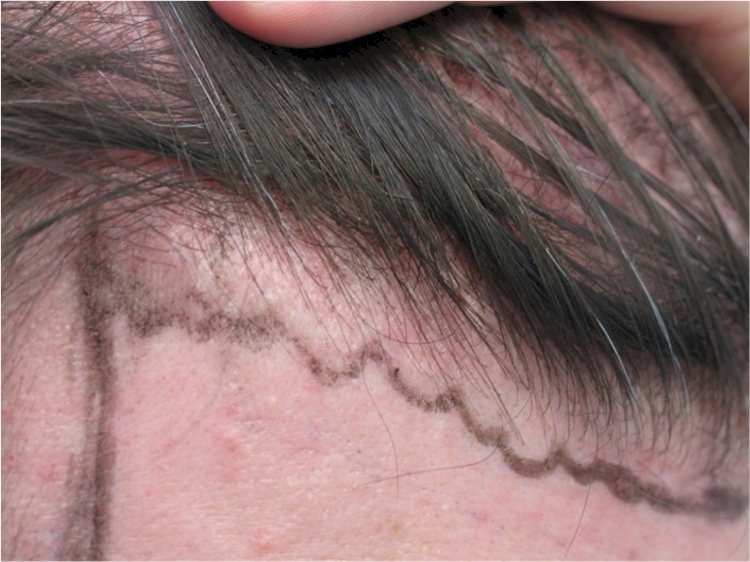 I will try to get the post-op pics posted from my last hairline/temporal work for reference. » and I cut the back /sides with a #1 and blend it with the top. » confidence -and for me that is an understatement. It looks a lot bettter. » It looks a lot bettter. You look really good!! Your face is framed perfectly!!! Impressive, wow! Amazing how it suits your head! 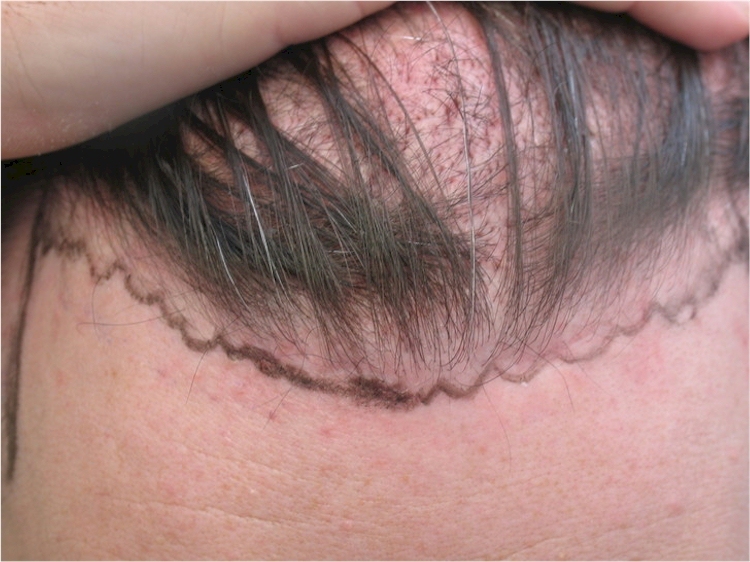 19 000 grafts is huge - do you know how much was transplanted from beard/body/back of head? Just to get an idea, which kind of price are we talking about - 20k? Higher? What is the crown like, any crown/top pics? That is one amazing transformation. I’m really happy for you. I’d like to see some more immediate post-op pictures of you, including the donor areas, I can imagine your life has really improved since Dr. Umar worked his magic. Those are great before and after pics. Over how many procedures did it take to get all the grafts? If you cut your hair this short, there is no point using toppik, it is very natural as it is right now, toppik is going to make his hair look like spray paint. How many day sessions did all this take??? Maybe someday, I’ll be able to buzz my hair like that. You must be walking on air. Thanks for the comments. I’ll try to summarize things. 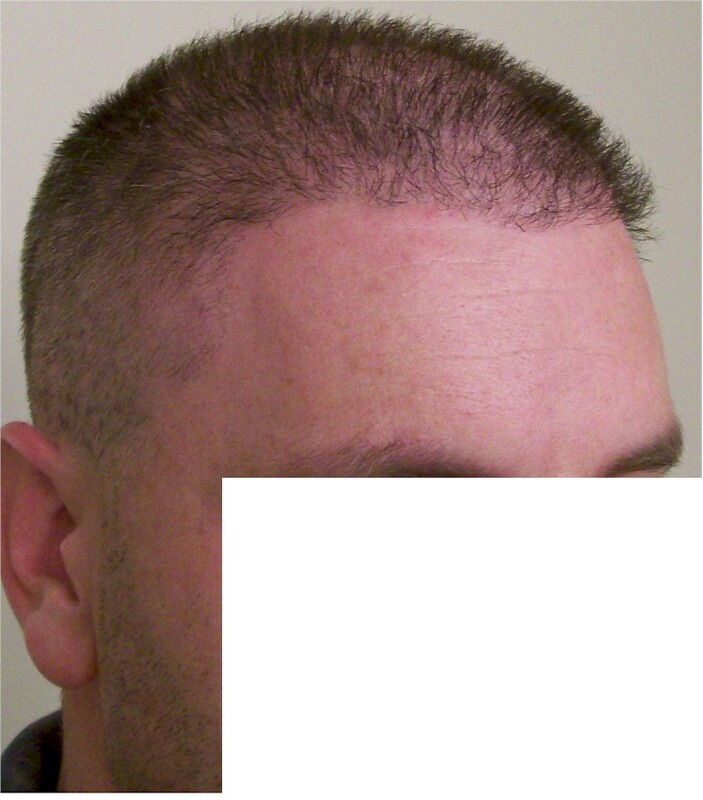 Just for clarification on my last procedure- Dr Umar constructed the hairline /temporal work to a Norwood 0 with 2000 FUE from the nape /and sides of the head .My body hair and scalp hair had a perfect blend. 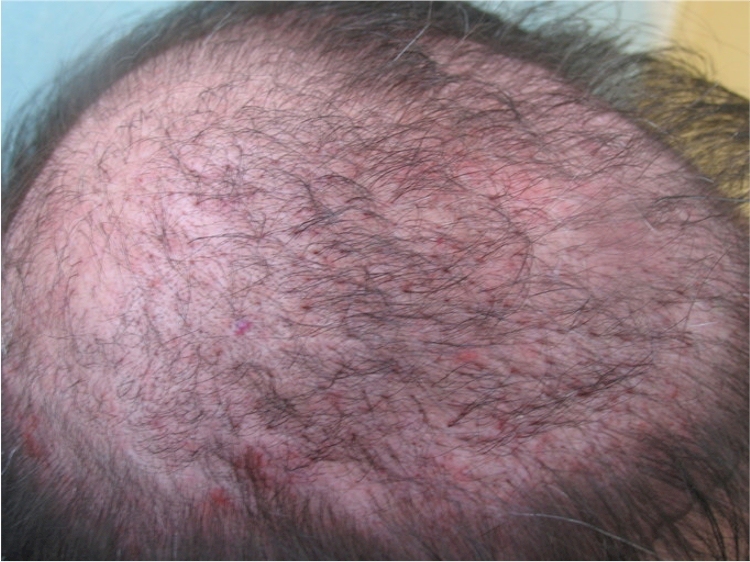 The previous work of 17,000 + grafts prior to my last hairline work in Sept 2007 was body hair used to fill in the Norwood area. The course of my procedures took me 3 years to complete from start to finish. I took 5 seperate trips to Dr Umar’s office over the course of this 3 years . Time to complete per session took anywhere from 2-5 days simply depending on which area we were working and what the goal was for that trip . Dr Umar had to repair extensive scarring/cobblestoning from poor work done in the 1990’s from strip procedures. Its really nice to be at this place in my life now feeling like I should at 36 y/o without constant worry/concern. i think, too, that it looks good. but it cant be that all grafts grew. many died i think. 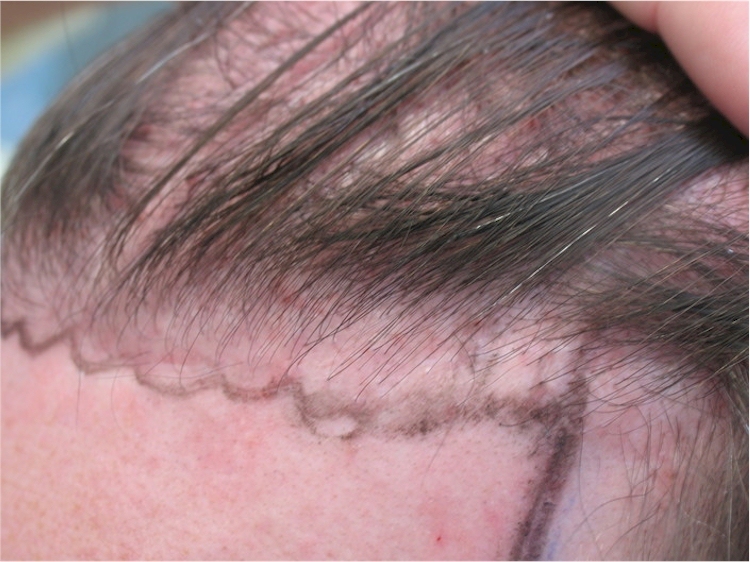 with 19,000 grafts you should have a perfect head of hair again. your result is not bad, but you still see that its a bit thin. i wonder how many percents of the grafts grow. can you answer me that question , heliboy? but the most important is surely, that it changed your life to the better, which is what counts at the end. i dont want to say negative things, but you see that bht has some problems. and this is the best bht result i’ve ever seen. » which is what counts at the end. » problems. and this is the best bht result i’ve ever seen. 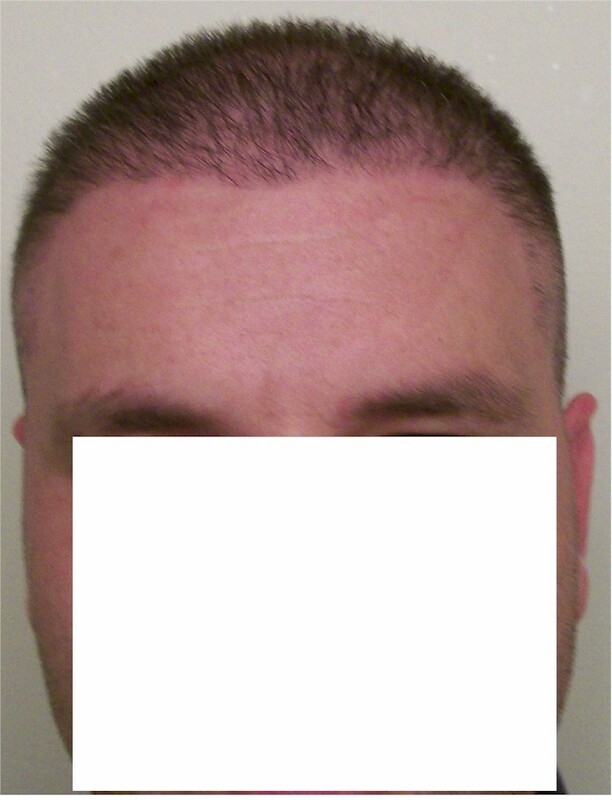 I havent posted on the forums in quite some time but the comment/question that you have brought about is a common misconception that I tried for years to explain in order to make more clear for future body hair transplant patients. This is why body hair was such a valuable assett for me. 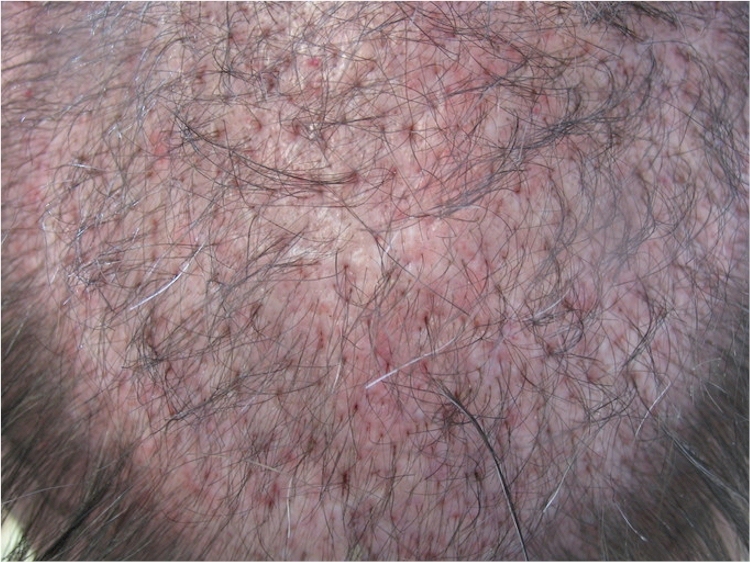 The body hair was used from day 1 to begin filling in innumerous scarring and my Norwood area . I only had a small amount of scalp hair available so this was held until the last procedure in order to ensure that I could use the scalp hair wisely in the areas it was most needed (in my case the hairline/temples ) This was thought out 3 years ago carefully by Dr Umar before we started my restoration so this goes to show how in depth his plan/preperation was for my final outcome. It took large numbers of BHT for me to fulfill my goal but it worked exactly as planned and fulfiled the role that it is best suited (as filler hair). In order for one to use body hair for any aspect of their retoration-knowing realistic expectations from it is crucial to having a successful outcome.